A family in East Tampa is feeling the impact of crime after being targeted three times by thieves. 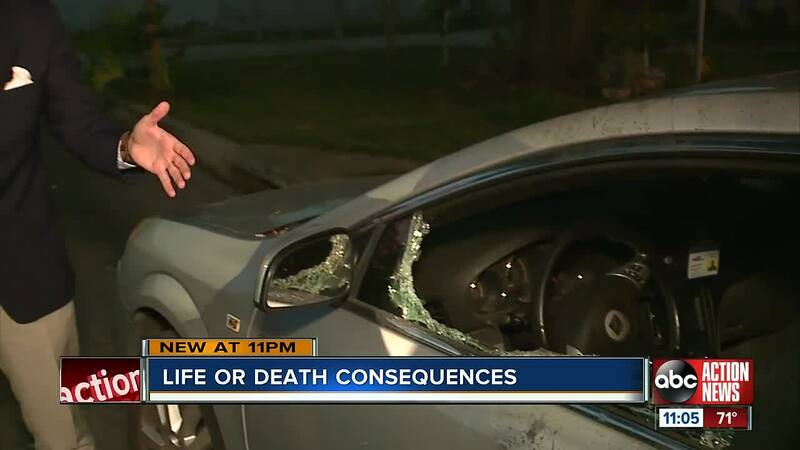 TAMPA, Fla. — A family in East Tampa is feeling the impact of crime after being targeted three times by thieves. Bri Walker's surveillance video taken from her home on Curtis Street shows someone burglarizing one of their cars three times in recent months. "The first thing I did was grab the gun because at the end of the day, like, you don’t know what you’re going to do," said Walker. It happened again early Tuesday morning. Video shows someone using a rock to smash out her sister's driver's side window. "For someone to do this is just unbearable and I can’t believe they would do such a thing," said Aundrea Hill. Money is tight for Hill. She suffers from kidney failure and Lupus and lives on disability. She uses that car to get to dialysis three times a week. "For you to be doing something like that to someone isn’t as fortunate as everyone else and can’t, you know, get up and do something about it," said Walker. Tampa Police are investigating that break-in as well as three more in Seminole Heights that happened over the weekend.